Last year I decided it was time I started really investing in proper, good quality jewellery. You know, the kind of necklaces that wont stain your skin, or earrings that wont give your ears a nasty reaction? I feel like as I get older and develop in my style, I want to be more sustainable and be less fixated on fast fashion. One way of doing that for me, is investing in key pieces. 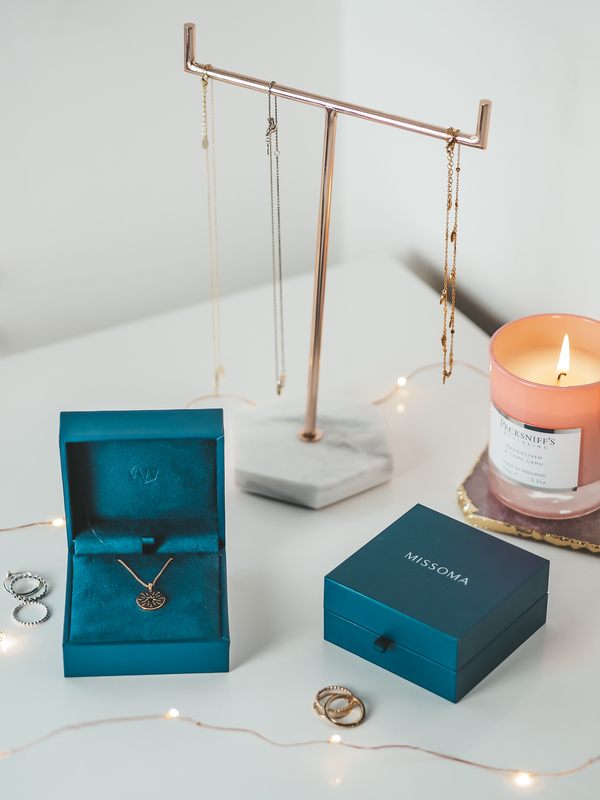 I stumbled across Missoma – pronounced ‘miss-summer’, an online jewellery and pendant store selling just that, and onto my Christmas wishlist went a couple of items. I wanted to start my collection with necklaces, so I asked for a choker and a standard necklace. 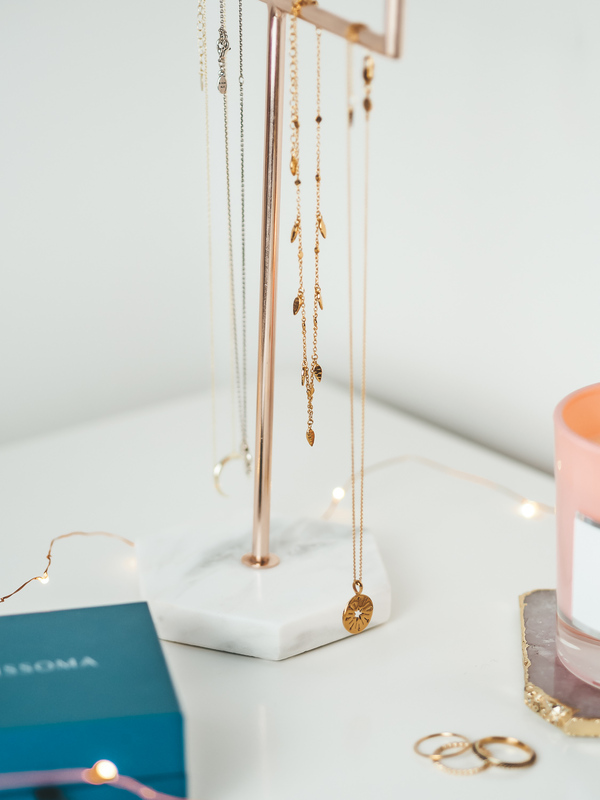 I love the idea of layering jewellery, and thought these two pieces would allow me to start doing so. The choker I opted for was the Gold Leaf Choker made of 18ct gold. 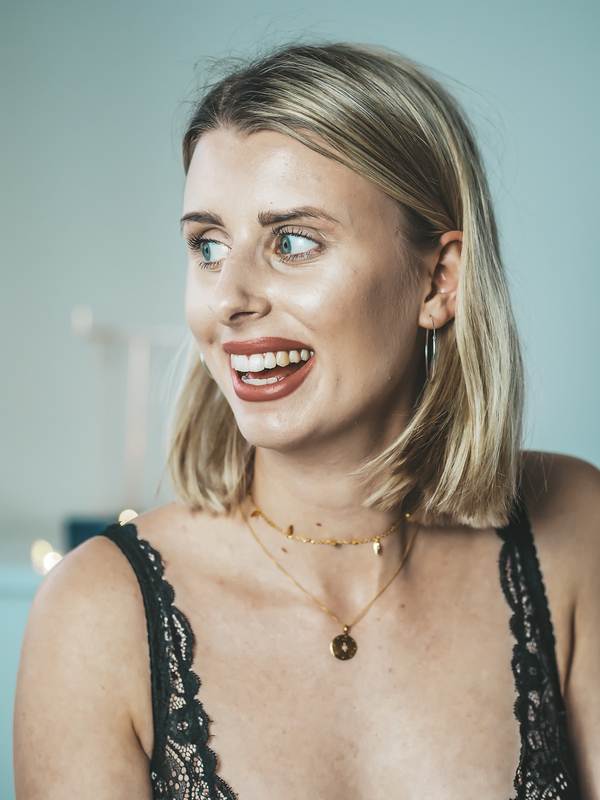 While I was at university I spent a lot of my time on YouTube watching various vlogs, and I constantly saw Zoella rocking this beauty, and it’s been on my wishlist ever since. To layer with this, I chose the Star Struck Amulet Necklace. 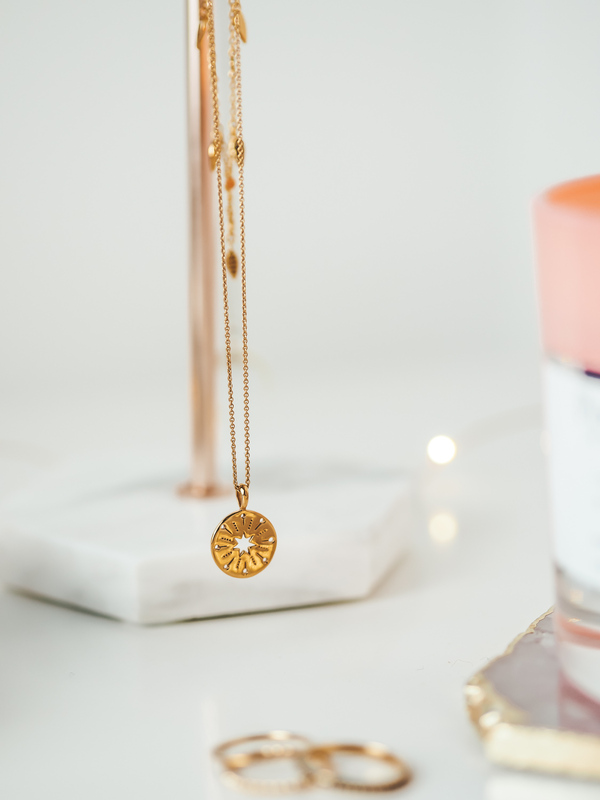 This is made of 18ct gold, and the star-struck simple signifies ambition, personal growth and following your dreams, which I only just realised now when researching the necklace! Pretty special though, right? I loved the astrological vibes of this design and I knew it’s something I wouldn’t go off in a few years time. Necklaces are sorted (for now) and I’m itching for my next investment piece. Granted, it’ll be a while considering they are investment pieces which means they do unfortunately come with a hefty-er price tag than most jewellery. Next on the wishlist are earrings, and I’d love to pick up some basics, including the 18ct Gold Mini Tunnel Hoops. But equally, I’d love some fun pieces like the Gold Celestial Stud Set. Just imagine how good these beauties would look with my Star Struck necklace! The rings are just as stunning, and I love the quartz single wand rings. Why can’t Santa come more than once a year?! Do you have any investment pieces? "A new haircare routine for 2019"